The latest in girls’ fashion is available exclusively at Toys “R” Us! Get to know them one by one! Join the Charm U Crew for fun adventures! It’s amazing what can happen with a little charm! Who Is your Charm BFF? © 2016 Cepia LLC Blue Whale™. 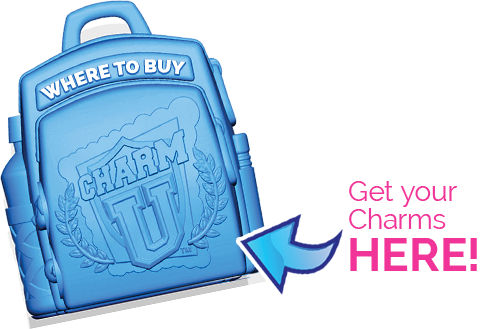 Charm U® logos, names, artwork, characters, and related indicia are trademarks of and copyrighted by Cepia LLC. All Rights Reserved.